Streaming Networks offers iRecord® Covert (HDVR-100); a stand-alone, network enabled, hybrid digital video/audio recorder for security & surveillance applications, supporting both analog and IP cameras. iRecord Covert converts any analog camera to an intelligent, high resolution, network-enabled surveillance system. 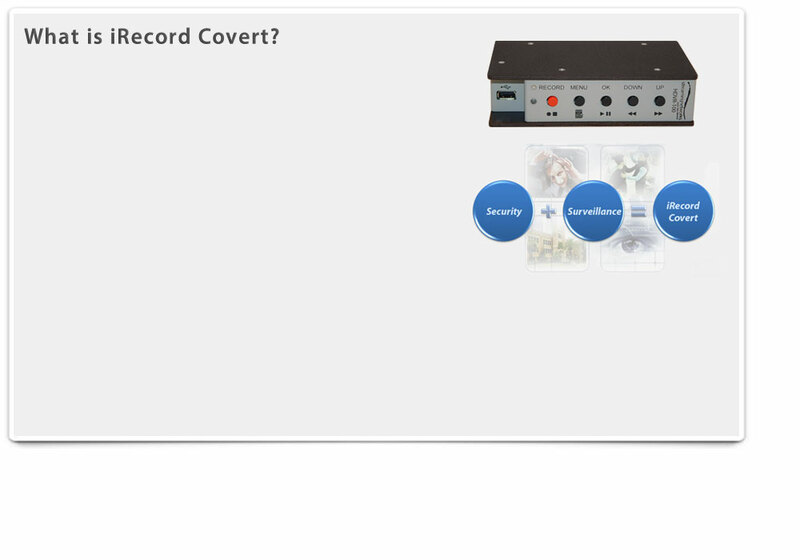 iRecord Covert enhances the functionality of the attached IP cameras by providing a store and forward A/V stream feature. 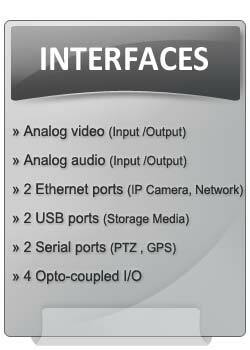 Up to 4 IP cameras, including high definition camera are supported. 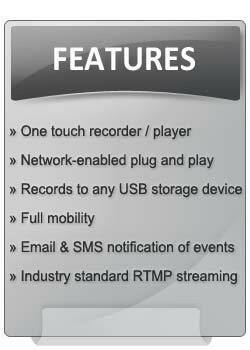 Continuous, Event based and scheduled recording modes are available. iRecord Covert (HDVR-100) can be fully controlled, via standard web browsers, over LAN/WAN. 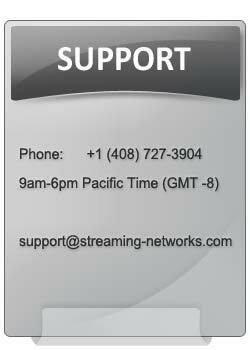 View live feed of an analog or IP camera or a pre-recorded A/V file; 2-way audio, start and stop recording; PTZ; download a file or segment of a file; and delete/rename files. iRecord Covert is also a stand-alone player, with standard play back and smart search features that allow access to the recorded contents quickly & efficiently for local viewing. Both Event and Time based playback modes are available.